The collaboration will bring an enhanced perspective on how industry can address sanitation challenges. 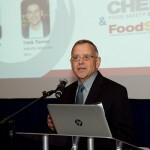 EDGARTOWN, MA, Jan. 18, 2019 – Innovative Publishing Co., the publisher of Food Safety Tech and organizer of the Food Safety Consortium Conference & Expo, has announced a partnership with the Alliance for Advanced Sanitation. 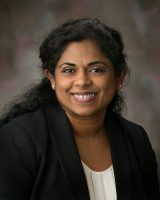 Angela Anandappa, Ph.D., director of the organization, will also be joining the Food Safety Tech and Food Safety Consortium Advisory Board. As part of this role, Anandappa will be a key resource on topics related to sanitation and will serve as chairperson for the Sanitation track at the Food Safety Consortium Conference & Expo, ensuring the presentations are relevant, accurate and balanced. 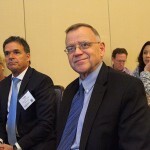 As a partner organization, members of the Alliance for Advanced Sanitation will also receive a discount to attend the Food Safety Consortium Conference & Expo in October. 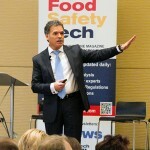 “I look forward to working with Rick and his team at Food Safety Tech and the Consortium event to help industry further understand the issues we face in sanitation, the advances necessary for success and how we can share best practices,” said Anandappa, who is also a research assistant professor with the Department of Food Science and Technology at the University of Nebraska-Lincoln. The Alliance for Advance Sanitation’s research, extension and teaching activities engage university of Nebraska–Lincoln faculty and address the needs and interests of the private sector partners. The overall goal of these activities is to develop improved sanitation practices that can be implemented by the food processing and affiliated industries. The Alliance’s mission is to create a safer food supply through advanced sanitation approaches and practices.